It’s important to tune your ukulele regularly so that it sounds right, and so you can play well with others if you like. If you’ve ever heard music that’s out of tune, you know just how unappealing it is! 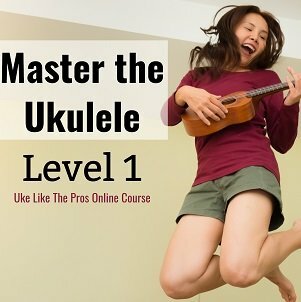 Since beautiful sound is one reason so many people love playing the ukulele, it stands to reason that you need a good tuner to get the best performance possible. 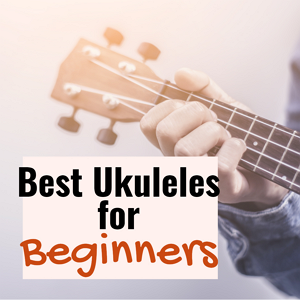 We have analyzed hundreds of Amazon reviews to help you find the best ukulele tuner for your needs, plus we’ve assembled some tips for making a choice you’ll be happy with. 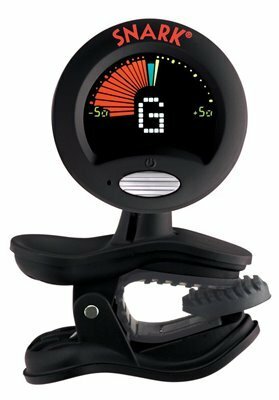 The KLIQ Uber Tuner is designed for all instruments, meaning it will readily accommodate ukuleles of all styles. A specific tuning mode for ukuleles ensures accuracy. The bright screen is very easy to read, and the tuner responds rapidly to your instrument’s vibrations. An internal microprocessor and a sensitive Piezo Sensor ensure accuracy. This ukulele tuner detects pitches directly from your uke’s vibrations, meaning ambient noise will never interfere with accuracy. The KLIQ Uber Tuner features three points of adjustment so that you can position it for easy viewing. A 3-year manufacturer guarantee inspires confidence in the manufacturer. A power-save feature ensures extended battery life. 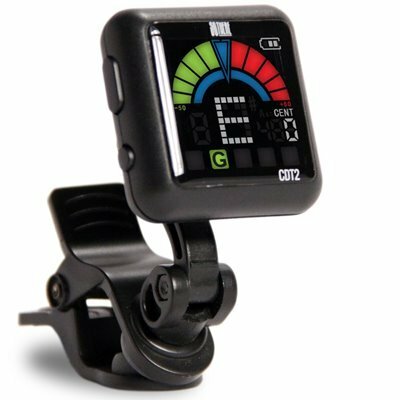 I’ve owned a ton of clip-on tuners and the Uber Tuner is top of class in terms of speed, accuracy, and convenience. After testing the Uber Tuner alongside the Snark, I’ve found that both are accurate but the Uber Tuner is more responsive. 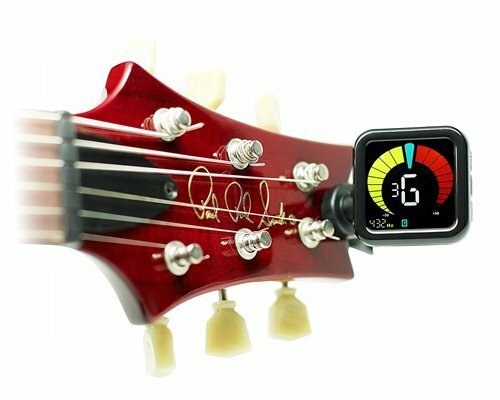 You will spend a little more on this tuner, but it’s well worth the investment. Great display, it’s big, bright, and easy to read. 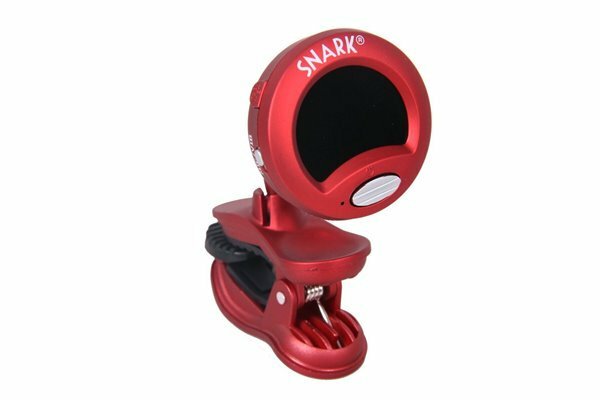 The Snark SN6 Clip-On ukulele tuner features a full-color display, which rotates 360 degrees so that you can find the easiest viewing position possible. A high-sensitivity vibration sensor ensures accuracy, and a metronome feature helps you keep time during practice sessions. A battery-saving feature puts the tuner into sleep mode after 10 seconds of inactivity; it turns off completely after two minutes with no activity. Rubber pads ensure a secure grip on your ukulele. The Snark’s color dial is easy to read, and tuning is accomplished quickly. Thanks to its articulated arm, this tuner doesn’t interfere with the ukulele’s tuning knobs. The display is readable in any light level. Very nice responsiveness to pitch indication, pitch resolution, and changes in pitch. The visual metronome feature is a nice extra, particularly as this is an inexpensive ukulele tuner. Although good tuners typically cost more than shoddily built ones, the Snark SN-8 offers a fairly low price and plenty of features. For many ukulele players, this tuner’s many features add up to a win-win. It features a rotatable head, a tight clip, and excellent battery life, plus its round screen is easy to read. It comes with a transpose feature as well as a metronome feature, both of which you can use to improve your playing. You will need to remember to turn this tuner off when it’s not in use. This tuner is fast and accurate. The Snark SN-8 is durable, far more so than earlier Snark models. Like other high-quality ukulele tuners, this one locks in quickly so that you can get back to playing. If you like the classic look of a black ukulele tuner, this one probably isn’t for you! But if you’re looking for a way to add a splash of color to your instrument while staying in tune, then you might like the red SN-2 from Snark. Quick, accurate, and easy to use, it features slip-resistant pads that let you play confidently, free from worries about whether you’ll lose your tuner in mid-strum. Quick tuning, plus extreme accuracy. This is a great little tuner, and it is dead on accurate (I confirmed this with a tuning fork). Easy to use, and the display is easy to read. The tap-tempo metronome is a nice touch, helps me keep the beat. I use it on my ukuleles, from the soprano, concert, tenor to the baritone, it works on all of them. The So There Rechargeable Clip-on Tuner comes with a USB cable for your convenience. A single charge offers up to five hours of usage, and the tuner features automatic power down after three minutes with no signal. Compact, lightweight, and easy to read, it features snug grips that won’t harm your ukulele’s finish. This ukulele tuner features five tuning modes to cover a wide range of instruments, and it offer sensitive vibration-based tuning for accuracy, even in noisy environments. A money-back guarantee inspires confidence in the product and its manufacturer. Excellent tuner, among the best I’ve tried. It’s very small, but the screen is super-easy to read. I play a few different instruments and the So There rechargeable clip-on tuner works with all of them. The ability to recharge is a really nice touch – I never have to worry about forgetting to change the batteries in my ukulele tuner. An Easy-to-Read Display Screen:– A bright display that’s easy to read make it far simpler to keep you ukulele in tune, especially if you are playing in dim or dark areas. Long Battery Life:– Look for a ukulele tuner that offers long battery life. You’ll have to change batteries less often this way, saving money and effort in the long run. In many models, battery power affects the look of the display screen, including brightness. Rapid Response Time:– The faster your ukulele tuner works, the better. Some tuners do not display the note (or whether the note is sharp or flat) until a few seconds after you play it, and this can mean that the tuner isn’t as accurate as you’d like it to be. A slower tuner might be OK if you’re always playing alone, in an area with no other sounds, however if there are other musicians or other noises in the room, your accuracy is going to suffer. Slip-Resistant Clip-On Style:– Not all ukulele tuners are meant to attach to your instrument, but some models do clip on. If you opt for one of these, make sure it’s slip-resistant so it remains in place and prevents your instrument’s finish from being scratched.